A better bag for less. Guaranteed. All purpose waste removal bags, ideal for most insulation. Reinforced, recommended for wet insulation, cellulose, infestations. Call (734) 455-7655 for volume pricing. Better Insulation Vacuum Bags For Less Money, Discover the Insulbag Difference! Got a project that’ll leave behind a substantial amount of waste/debris behind? Our Insul-Bag insulation waste removal bags will help you gather the waste for safe disposal. Specially engineered from our premium quality filtration grade non-woven fabric, Insul-Bag waste removal bags are your best bet. Our filtration grade bag qualifies for all liquid filtration applications. Rest assured we don’t source our materials from the secondary markets or overseas. Top quality standard and heavy-duty bags at affordable prices. Our standard all-purpose waste removal bags are perfect for most insulation. For wet insulation, infestations & cellulose, we recommend the reinforced heavy duty Insul-Bag. Our bags have been constructed from high-quality non-woven fabric (spun bond polypropylene). Flotech is the sole manufacturer of the Insul-Bags from the initial step to the last. That grants us a competitive edge over our rivals in that we can offer our high-quality bags at a ridiculously low price. 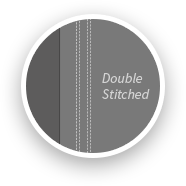 Our insulation bags are double stitched guaranteeing no ripping or tearing during use. We can guarantee that if used correctly, the bag won’t break or rip. Even better, if a bag does rip or break in the course of use, we will replace it free of charge, pay for the shipping and also cover the handling. And if that isn’t convincing enough, give us a chance to prove the quality and strength of our Insul-Bag waste removal bags. Get 2 FREE Bags and be part of the incredible Insul-Bag Challenge. Insul-Bag is the perfect size insulation bag for your project. It measures 4'x6' and can carry up to 75 cubic meters of waste. Besides, the waste removal bag comes with an 11-inch collar that you can fasten in all makes and models into a removable insulation vacuum. Start Working Smarter with Insul-Bag Insulation Waste Removal Bags. Take your project a notch higher with the Insul-Bag insulation waste removal bags. Made in the USA, Insul-Bags are made from industrial quality material and come at competitive prices. The bags are doubled stitched eliminating the possibility of ripping or tearing and can carry up to 75 cubic feet of waste. Contacts us at (734) 455-7655 to take the Insul-Bag Challenge with our 2 free sample bags. Or Order Now!